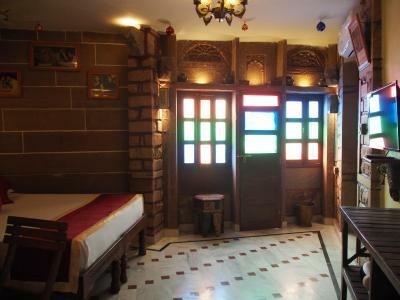 Lock in a great price for Raj Mandir boutique home Stay – rated 9 by recent guests! The location is in the center but in the little alley - hence no street noise at all. The air-con was nice and cold. Very spacious room with a swing in the balcony! 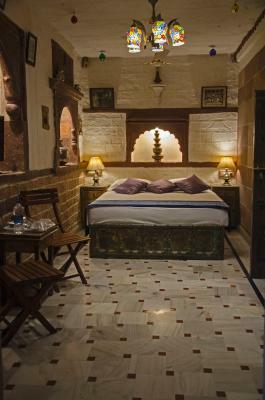 The interiors of the boutique homestay are indeed very interesting, cues have been taken from Mehrangarh Fort and incorporated in the rooms. Furniture and wall adornments like old movie posters give it a quirky look. We stayed in the King's suite which had a lovely view of the fort from the balcony. 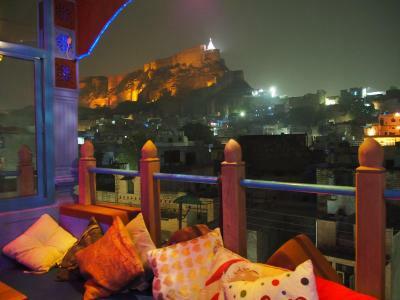 Rooftop restaurant also has great fort view. The owner and staff are quite affable and helpful. 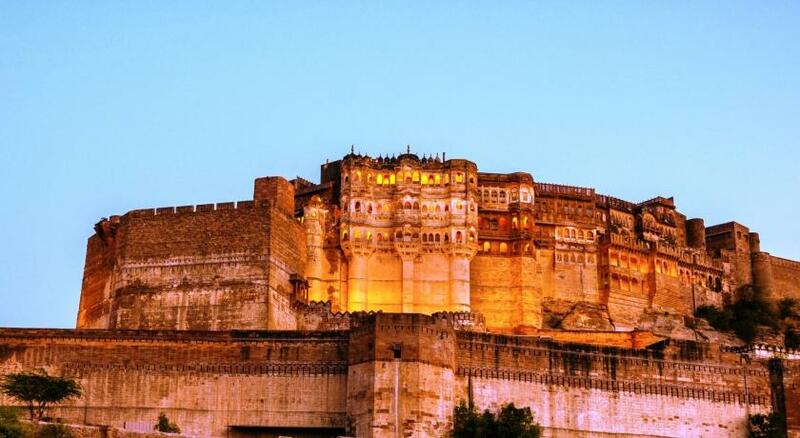 Mehrangarh Fort is within 10 mts walk. 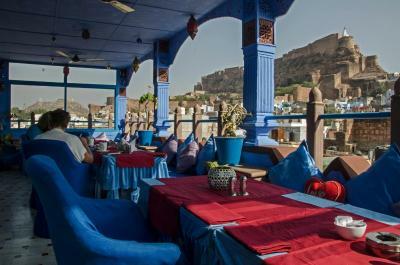 This is a place to stay in Jodhpur - panorama to the fort, restaurant with its food, staff. 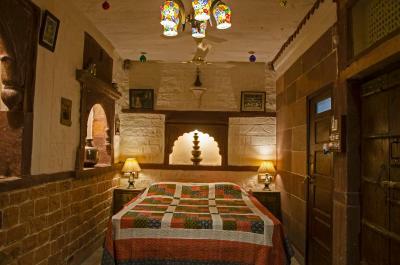 The stay is very close to the main fort. You can walk to the fort. 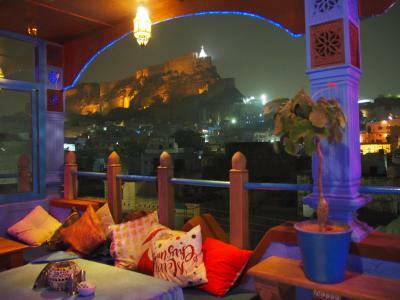 Their rooftop restaurant has a very good view of the fort. The staff at the reception is very pleasant and helpful. Also, the facilities in the room are pretty good. 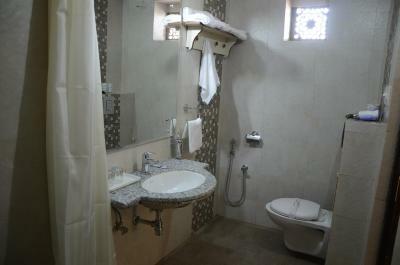 Our washroom was spacious and well maintained. Bed was comfortable. I absolutely loved my stay here. 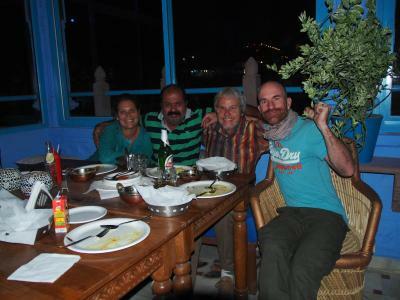 For starters, the staff are so gracious, polite and homely. I really felt like I was staying with family. 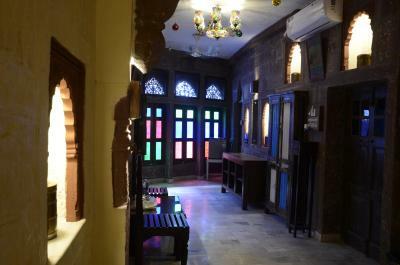 It is located deep within the Blue City, but a 10 minute walk to the entrance of Mehrangahr Fort which was so convenient for us. 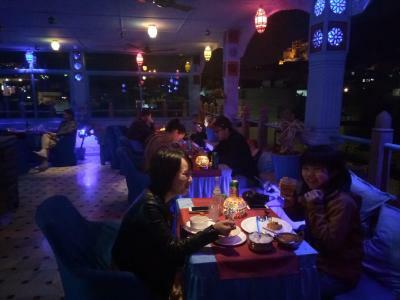 It's also located next to lots of tuck shops to buy food and beverages and in a very lively neighborhood. The balcony with the view of the fort from our room was spectacular, especially at night. I also loved the restaurant up top. I ate nearly 5 meals there! The price is great and it's really delicious. I highly recommend the egg chow mein, egg curry and mashed potatoes. The room was very clean and comfortable with A/C and nice lighting. Tip for travelers: 4-wheel vehicles cannot enter the blue city so to get to this property, take a rickshaw as soon as you enter the blue city to get here. Call the hotel before you head over to get specific instructions. Beautiful, clean rooms and well-renovated. We are practically living in a palace. Friendly and helpful staff. Rooftop restaurant is great. Food is okay and reasonably priced. What an amazing place! 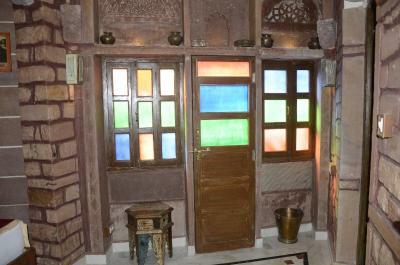 A renovated haveli within the old town of Jodphur. The staff were amazing, the food's great, the view from the balcony and our room was spectacular. You feel you're right amongst the locals in a really GOOD way. And most importantly, the beds are super comfy. A very cool chique place we'd recommend to anyone. We have 2 daughters and the family room was absolutely perfect. Only wish we'd had longer than the 2 nights's stay - cant wait to go back! 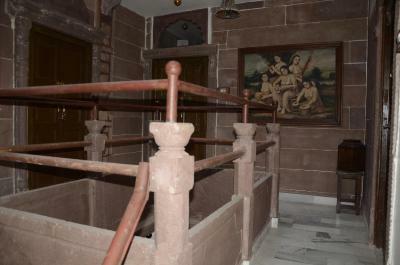 Clean and big room, balcony has fantastic view of the fort. Wi-Fi is very good and fast. They have excellent rooftop restaurant. 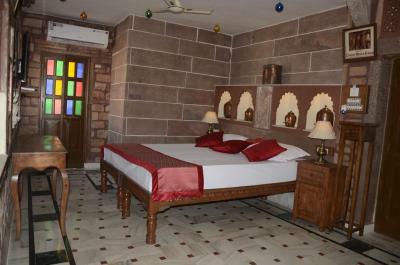 Raj Mandir boutique home Stay This rating is a reflection of how the property compares to the industry standard when it comes to price, facilities and services available. It's based on a self-evaluation by the property. Use this rating to help choose your stay! 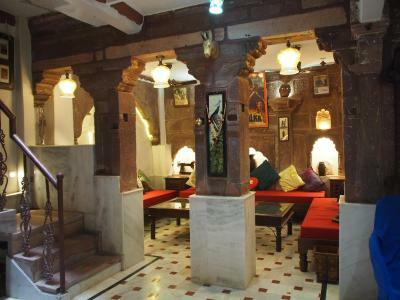 One of our top picks in Jodhpur.Set in a building with a garden, Raj Mandir boutique home Stay is a 250 year old haveli, set in Jodhpur that offers free WiFi, 650 feet from Mehrangarh Fort. Offering a balcony, each unit is air conditioned and features a dining area and a seating area with a cable flat-screen TV. 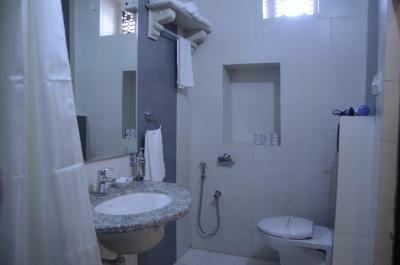 There is a private bathroom with bath or shower in all units, along with free toiletries and a hairdryer. A continental or buffet breakfast is available daily at the property. There is an in-house restaurant, which serves Asian cuisine. 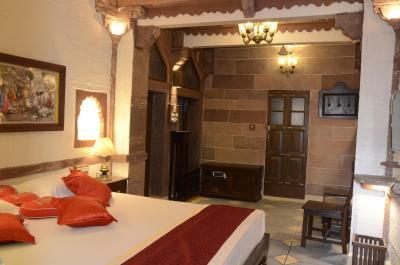 Jaswant Thada is a 16-minute walk from Raj Mandir boutique home Stay, while Umaid Bhawan Palace Museum is 2.3 mi from the property. 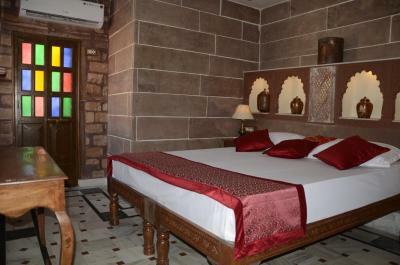 The nearest airport is Jodhpur Airport, 3.1 mi from the accommodations. 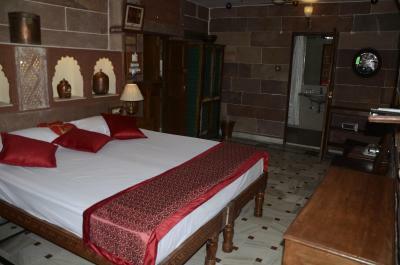 When would you like to stay at Raj Mandir boutique home Stay? This double room offers a fort view and has a balcony, patio, television and air conditioning. 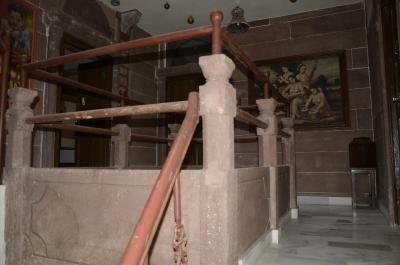 This suite features a balcony and tile/marble floor. This room cannot accommodate an extra bed. The Family Suite offers two rooms with a TV, balcony and a fort view. 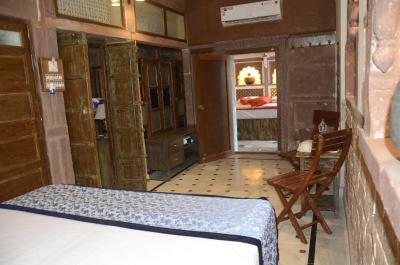 The rooms are air conditioned and have an attached bathroom with hot shower facility. 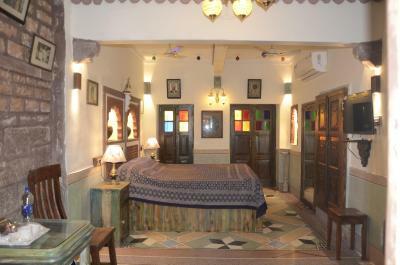 House Rules Raj Mandir boutique home Stay takes special requests – add in the next step! Raj Mandir boutique home Stay accepts these cards and reserves the right to temporarily hold an amount prior to arrival. Fantastic place. In the heart of the blue section of the city and a simple walk/tuk tuk to the rest. Staff were super friendly and the hotel was spotless. 10/10! Raj Mandir is a bit tricky to locate--Google maps might help. The lanes are narrow, so we took a tuk tuk to and from the train station. 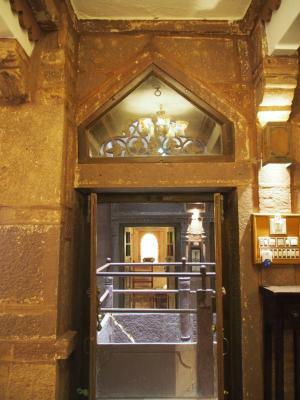 Climbing the stairs to the rooms and restaurant might be difficult for youngsters and the elderly. 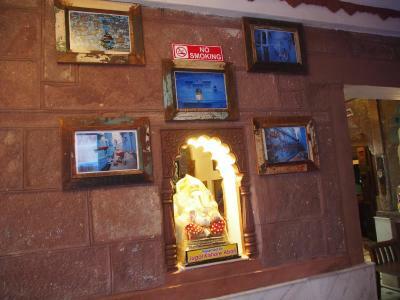 Raj Mandir is a renovated haveli in Jodhpur's old city. 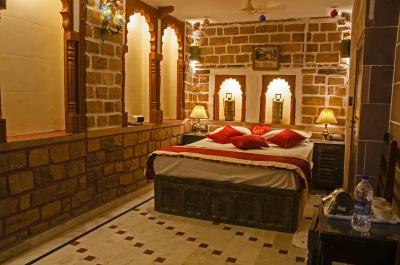 It has charmingly decorated spacious rooms with comfortable modern bathrooms. 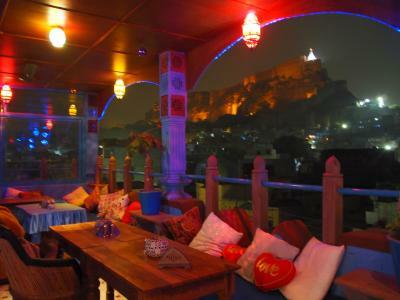 It is located within walking distance to Mehrangarh Fort. 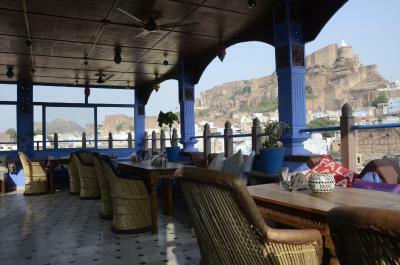 The rooftop restaurant has views of the fort, delicious and inexpensive food, cold beers and attentive staff. We enjoyed watching the langurs in nearby trees. The front desk was very accommodating, allowing us to check in early and store luggage the next afternoon. The rates were quite low, so I was pleasantly surprised to see that it was even better than I had hoped. Water and snacks were available at a nearby shop. The kitchen didn't look super clean, but we didn't get sick. They didn't clean the room during our 2 nights stay. Not the end of the world. The amount I was charged for the stay on my card was a bit higher than what I actually paid and pin my code for... Don't know if it is a bug. Contacted the hotel about this but they didn't reply. The view from the terrace is lovely. Diner was very good. You can walk to the Fort and to the Clocktower market (but try not to get lost). The hotel has the prettiest decoration. Really interesting and quirky hotel. Friendly and helpful staff. Plus a good location near the fort in the middle of the old town. 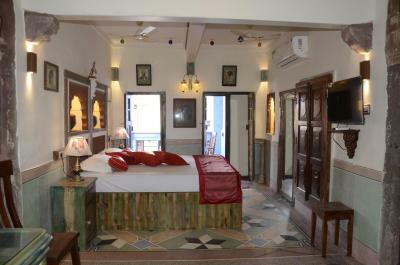 Sparkling clean throughout, amazing location in the heart of the blue city and great haveli feel. Stunning view from the rooftop - couldn’t have asked for more. Very steep stairs but that is part of the charm of the building. The little street leading into the homestay is pretty dirty. 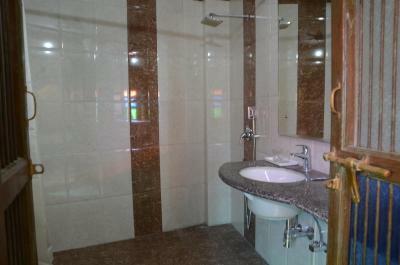 Lovely clean room with a modern bathroom with a great shower. The staff were lovely and friendly and helpful. 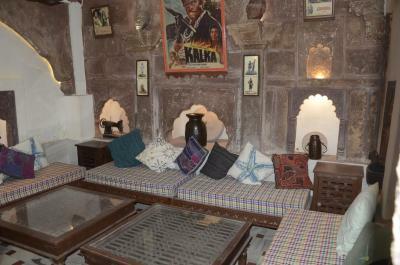 The place was decorated with old film posters and interesting furniture with style. 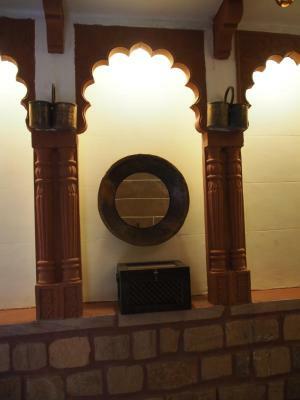 A great stay right in the old city and an easy walk to the Fort. Very very bad location! Impossible to go out in the evenings as too far to the centre! The hotel and it's restaurant was very good overall. Butter chicken meal was super! Driving in the old town! Unbelievable dodging and honking around dogs, cows, other tuk tuk, bicycles, motor bikes and pedestrians. I don’t know how they all survive. The staff were excellent. Friendly and helpful. the cleanliness of the room. Dust everywhere. Can be a little noisy at night but this cannot be helped as in the middle of old city. Great place to stay. Clean room, nice en suite. Everything worked. It would be a struggle to find this place on foot...ask a tuk tuk driver as there is a small tuk tuk rank almost immediately outside. Don't be put off by the grim alleyway between the tuk tuk and the front gate..you are about to enter a wonderland! It is a little noisy from the street..
Where do you start? 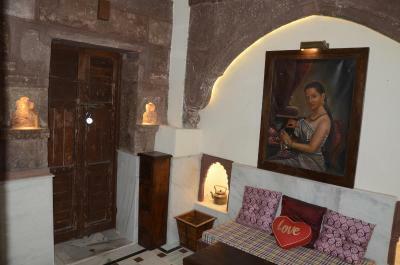 This homestay has been developed with loving care and a superb eye for detail. 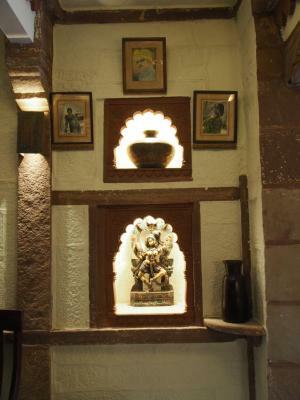 As soon as you walk in, you feel transported from the chaos of the streets into a magical Indian oasis. Antiques and aged nick-nacks are everywhere..some of the furnishings would fit into a modern home .. We loved the building interior. 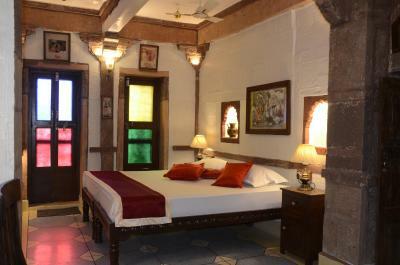 The rooms were delightful.. furnished beautifully and well appointed and very clean. The excellent bathroom facilities were a huge bonus. 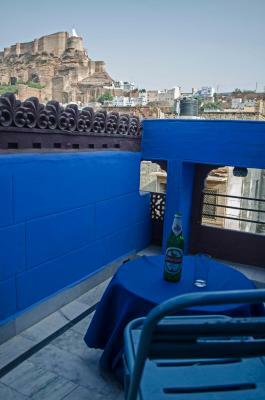 On the rooftop, a lovely view of the fort and blue city both by day and night. 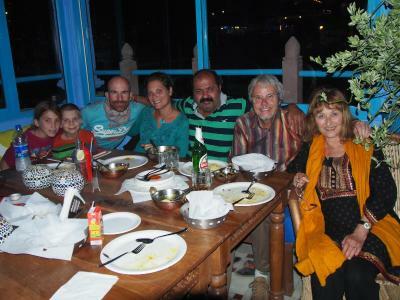 The staff were friendly and polite and learned our food preferences quickly. 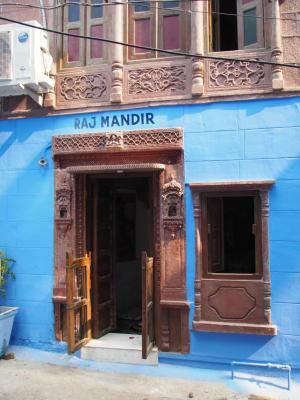 We loved staying in this haveli. Highly recommended. 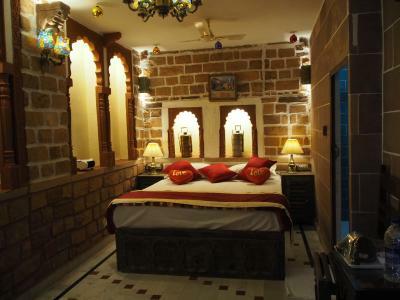 Beautiful authentic decorated room and super clean. 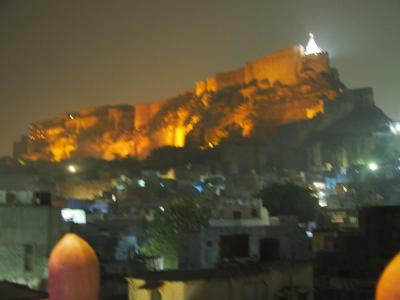 We loved staying in this part of the city where there are not so many tourists and you can get a feel of the real Jodhpur.